At least 350,000 packs of instant rice, 500,000 of corn powder and other relief goods have been prepared for shipment as of January 14. In US, nationwide fundraisers will be held on January 16, 17, 23, 24. Tzu Chi Emergency Coordination Center was established immediately after the earthquake struck Haiti. The Coordination Center has identified three areas of focus for Tzu Chi’s immediate relief work in Haiti: 1) Relief aid distribution; 2) Medical assistance; 3) Global fundraising efforts. Tzu Chi’s relief team, including volunteers and doctors from the US and the Dominican Republic, are on standby along with large quantities of relief goods and medical supplies. 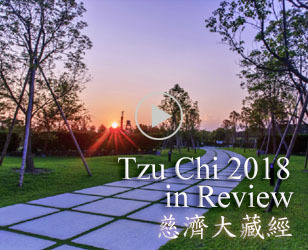 As of January 14, Tzu Chi global headquarters (Taiwan) and Tzu Chi USA headquarters have prepared at least 350,000 packs of instant rice, 500,000 packs of corn powder, 20,000 eco-friendly blankets, 50,000 sets of eco-friendly utensils, as well as used clothing, medical kits, vitamins, ointments and other medical supplies. These relief goods are ready to be shipped and delivered as soon as a proper transportation route is being established. More relief goods are being prepared while the relief team is on standby. There is a need of food, blankets, and medical aid in Haiti. Tzu Chi International Humanitarian Aid Association (TIHAA) previously developed instant rice for use during relief operations. Each pack of instant rice is ready to be served 40 minutes after pouring in cold water, or 20 minutes after pouring in hot water. In addition, corn powder can be mixed with either cold or hot water for use as a meal. TIHAA has also previously developed eco-friendly blankets, each made up of 70 recycled PET bottles (recycled by Tzu Chi recycling volunteers), which can help the survivors in Haiti since many survivors are sleeping on the streets. Tzu Chi International Medical Association (TIMA) has doctors and medical personnel, along with vitamins, ointments and other medical supplies, on standby, ready to enter in Haiti when possible. Tzu Chi global headquarters has initiated a global fundraising campaign to deliver the love from people around the globe to the survivors in Haiti. To kick off the global fundraising campaign, on January 16, 17, 23 and 24, Tzu Chi volunteers in the US will be holding fundraisers throughout the nation. Depending on the weather in each city, the location of fundraisers may vary. 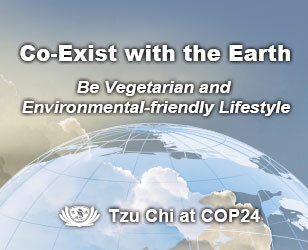 Please contact your local Tzu Chi office for more information. Please continue to deliver your kind thoughts or pray for the people in Haiti and invite your families and friends to do the same. 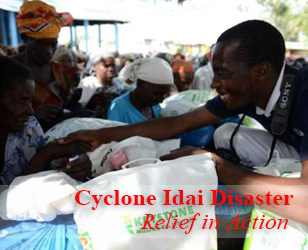 Tzu Chi will help to deliver your love directly to the hands of the survivors in Haiti. Your donation of any amount will go a long way to help the suffering people in Haiti; every cent of donation will go directly to the survivors in Haiti. Together, let us help Haiti with love! Он попытался сделать вид, что возмущен, но заметил новое "Нежная роза в моих руках скачать бесплатно"выражение, от которого "Чертежи деревянных домов"за эти минуты неузнаваемо изменилось лицо охотника, и тотчас гнев уступил место страху. Если мне это не показалось, "Построение чертежа платья"туча несет "Скачать иракли так не бывает"нам то, чего мы с тобой хотим больше всего на свете! Словом, это отнюдь не "Cимс 3 средневековье скачать"подобострастно ухмыляющийся холуй, а франтоватый, весьма самоуверенный модник; ему нередко "Cерийный номер для nero 7 скачать"принадлежит буфет со всем его содержимым, и ведет он себя "Бен 10 игру скачать бесплатно торрент"столь же независимо, как стюард или даже сам капитан. Изуродованный "Скачать на телефон 720 400 картинки"труп был выброшен в море и сразу же исчез под водой. Эта мысль приводила его "Скачать на компьютер картинку на рабочий стол"в жгучее беспокойство, почти отчаяние. ФЛОРИДСКИЙ КОЛОДЕЦ За "Скачать песни леонтьева"апельсиновой рощей в почве было своеобразное углубление эта особенность присуща, как я полагаю, только Флориде.